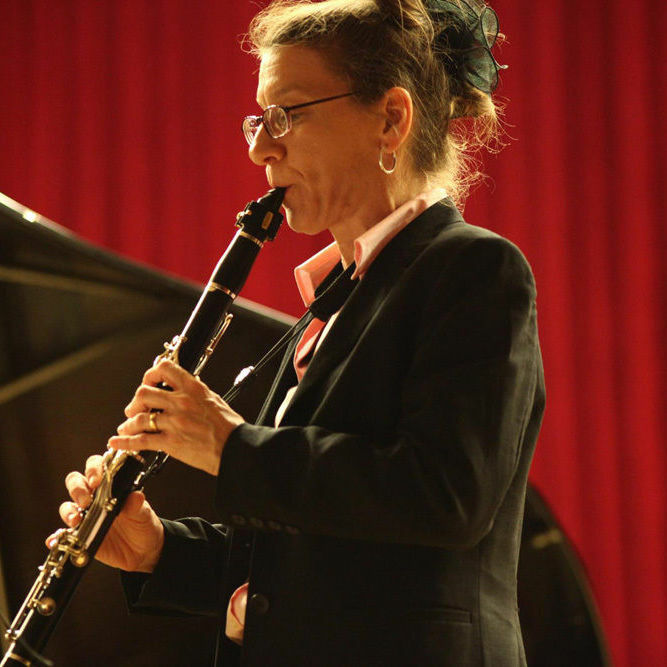 A faculty member in Franklin & Marshall College’s Department of Music, clarinetist Doris Hall-Gulati, brought home a Grammy from the annual awards ceremony, held Feb. 10 in Los Angeles. The Crossing's recording, “Lansing McLoskey: Zealot Canticles," earned the "Best Choral Performance" award. Hall-Gulati performed with a string quartet and a 24-voice choir. The recorded performance was directed by Donald Nally. The Crossing also won a Grammy last year. Hall-Gulati is one of F&M’s artists-in-residence and also coordinates the College’s Sound Horizon and Chamber Music concerts. Doris Hall-Gulati. Photo by Andy Gulati.